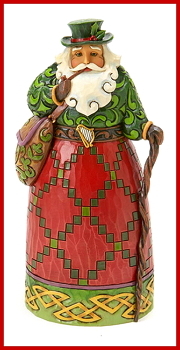 American Santa Figurine by Jim Shore Heartwood Creek from Enesco. 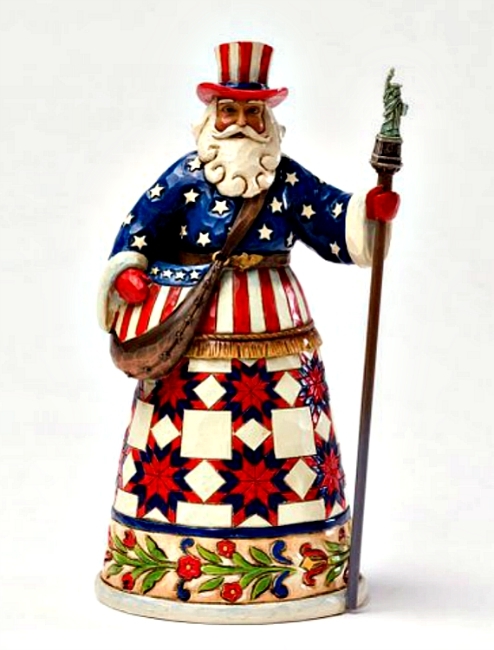 A centerpiece to the Santas Around the World collection this Santa features the Stars and Stripes of the USA. 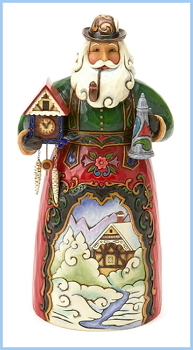 Note the elaborate detail of the 8 pointed star on Santa's robe the Statue of Liberty on his staff and eagle on his belt buckle. Measures 7.25"H x 3.5"W x 3.625"L. Made of Stone Resin.